When Carl Orlando began work as a driver for the private trash hauler Liberty Ashes in July 2015, the job quickly proved punishing. His shift ran from about 4:30 p.m. to 9 a.m., he said, sometimes as often as six days a week. 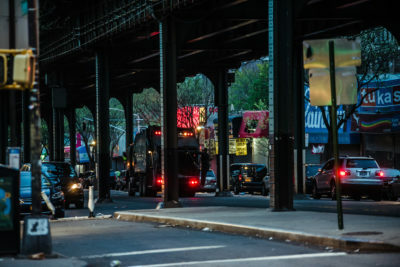 His route collecting trash from commercial businesses took him through three of New York City’s five boroughs. “You were one truck trying to do the work of three trucks,” Orlando said. After three months on the job, Orlando estimated he was racking up about 77 hours a week but being shorted on his overtime pay. Orlando said he asked another driver how he could go about collecting the money he was owed. Technically, the driver was his shop steward, but that didn’t mean much at Liberty Ashes. Orlando had heard there was a union at the company, and that someone would sign him up, but it hadn’t happened. The driver told Orlando he’d make a call and get back to him, Orlando said. Liberty Ashes has been in the trash hauling business for decades, and today it is run by brothers Michael and Stephen Bellino out of a depot in Jamaica, Queens. It has roughly 3,000 customers, 17 trucks and not the most spotless record for safety. Federal records show the company’s trucks have in recent years been cited by inspectors for defective brakes, broken axles and worn tires. On one troubled truck, three workers lost fingers in accidents, ProPublica found. Later that day in October 2015, the shop steward got back to Orlando about his overtime complaint. He would not be seeing any more money. Instead, according to Orlando, he was told he’d been fired. The union at Liberty Ashes is known as LIFE 890. It’s called an independent union, meaning LIFE 890 is not part of national outfits like the Teamsters. 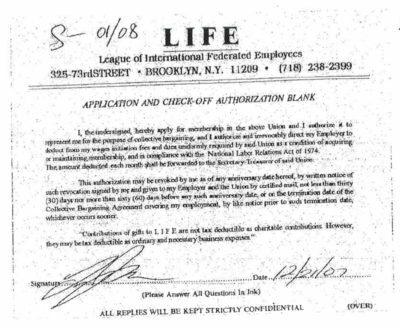 A number of current and former workers at Liberty Ashes say LIFE 890 is a union in name only. Its leaders never take up the cause of workers, they assert, and the union sides with the owners instead. Some workers get signed up for the union; others, like Orlando, do not. Some workers, in fact, don’t even know the name of the union at Liberty Ashes. New York’s residential trash is hauled away by the city, but private companies collect trash thrown away by businesses. Every night, an army of private trucks zig-zag across the city, making hundreds of stops each. One current worker said that during his many years with the trash hauler, he had never talked with any union representatives and had only seen one once. He didn’t know her name, but he recalled she was handing out free pens. LIFE 890 is one of the largest unions in New York’s private trash industry, representing workers at many major companies throughout the city. An 11-month ProPublica investigation found that LIFE 890 has worked with trash company owners to strike deals that embolden employers and shortchange employees, according to workers, labor advocates and National Labor Relations Board rulings. Workers said they never saw union representatives and didn’t know how they got stuck with low wages and poor benefits. Garbage haulers were in league with LIFE 890, they said. ProPublica has sought to speak with the leaders of LIFE 890 since last December. None have ever responded to any calls, emails or detailed questions sent by fax and mail. The union’s lawyers didn’t respond to inquiries, either. 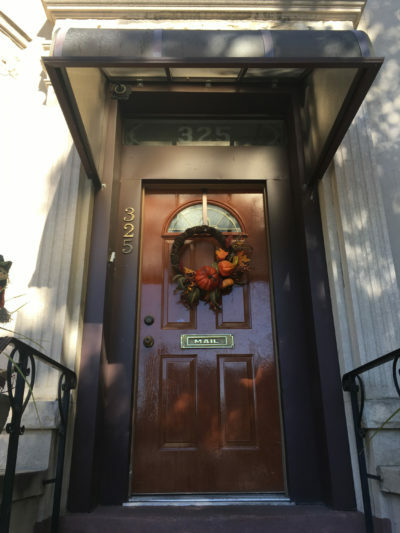 ProPublica recently visited LIFE 890’s headquarters — a residential townhouse in Bay Ridge, Brooklyn, with a seasonal fall wreath on the front door. A man named John Mongello Jr. bought the Brooklyn home 30 years ago, and he has run the union out of it ever since. Mongello isn’t the only person connected to LIFE 890 with a problematic past. The union’s payroll includes a former garbage hauler and convicted felon, ProPublica found in a review of thousands of pages of Department of Labor records. The union official, vice president Stephen Capone, has been paid $142,000 in various capacities since 2014. He years ago pleaded guilty to conspiracy to commit mail fraud in a federal bribery scheme involving payoffs to officials at a Staten Island landfill in order to evade dumping fees. The union has also given tens of thousands of dollars in business to a company owned by Daniel Todisco. In 1997, Todisco pleaded guilty to attempted enterprise corruption, and his companies pleaded guilty to restraint of trade as part of a crackdown on the illegal mob-controlled cartel that ran the city’s private trash industry. To this day, trash companies licensed to operate in New York City are banned from doing business with Todisco and Capone, both of whom are considered by regulators to be convicted racketeers. In response to his various legal challenges, Mongello has denied any wrongdoing. And business, for both him and his family, has been booming. In 2016, LIFE 890’s benefit fund paid Mongello $239,000 as its administrator; it paid his daughter, Jessica Mongello Gambino, $103,000. In all, eight Mongello family members have been on the union and the benefit fund’s payroll in the past two decades. The union’s benefit fund pays the Mongellos $90,000 a year in rent for the use of the Bay Ridge home. What’s more, the union pays an additional $24,000 a year under a sub-lease arrangement for the use of “office space” inside the home. Sean Campbell, the president of Teamsters Local 813, said he and other labor leaders working in the private trash industry have complained for years about LIFE 890 to the Business Integrity Commission (BIC), the city agency charged with overseeing the private trash industry and rooting out corruption. Campbell said they alleged that LIFE 890 was a sham union, without a real office and with representatives that hardly ever visited workplaces. They asserted that LIFE 890 colluded with company owners, who installed LIFE 890 in elections that were anything but free and fair. The union signed what Campbell and others have called “sweetheart” contracts that workers had no input in, and those deals, Campbell said, came with lowered safety standards and wages. At Liberty Ashes, for instance, the contract LIFE 890 recently negotiated calls for its members to receive a raise of just 17 1/2 cents per hour. The Bellino brothers at Liberty Ashes did not respond to requests for comment. On Dec. 1, 2015, Orlando filed suit against Liberty Ashes in federal court in Manhattan, seeking his overtime pay. He since has been joined by other former workers who claim they, too, weren’t paid adequate overtime. In response, Liberty Ashes has contended that workers cannot sue the company but instead must address any wage claims through arbitration. LIFE 890, it turns out, had negotiated those terms with the company — 13 months after Orlando filed suit. The company has argued that the terms apply retroactively. LIFE 890 was born in scandal in the late 1990s. Mongello, then running Laborers Local 445, an AFL-CIO-affiliated union, decided to start his own union by effectively hijacking Local 445. Mongello secretly met with trash companies and renegotiated the union’s contracts, eliminating Laborers Local 445 and installing his own union in its stead. He named it LIFE 445, the League of International Federated Employees. Mongello admitted all of this when the Laborers filed a complaint with the NLRB. 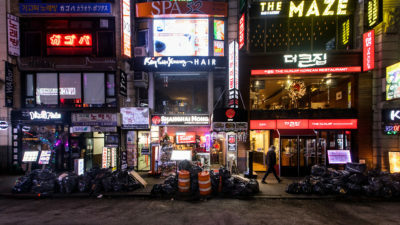 He said in a sworn deposition that he had indeed made an explicit effort to conceal his side-dealings with the trash companies, though he said he’d intended to rejoin the umbrella Laborers organization once LIFE was in place. LIFE’s attorney argued the complaint should be thrown out because the statute of limitations had passed. What’s more, a federal lawsuit brought by the Laborers alleged that Mongello had abused his authority over many years before his breakaway bid with LIFE. It alleged years of self-dealing by Mongello and other union officers, many of them Mongello family members. When the Mongellos bought the Brooklyn house in 1988, for example, they billed Local 445’s health care benefit fund $130,000 for building improvements; in 1996, when the union had a negative cash balance, Mongello made $220,000, according to the lawsuit. In 1997, the Laborers “imposed an emergency trusteeship” on Mongello’s operation and were “unable to locate the books and records of Local 445,” according to the suit. Mongello and his co-defendants eventually settled with the Laborers and agreed to pay $320,000 plus legal fees, according to the benefit fund’s filings with the Department of Labor. But for all the damning findings and expensive payments, LIFE 445 survived as a new union, with Mongello in charge. After a few years, he doubled the number to 890. In the past two decades, independent unions like LIFE 890 have become commonplace in the private trash industry, representing about a third of all workers, mainstream labor leaders estimate. 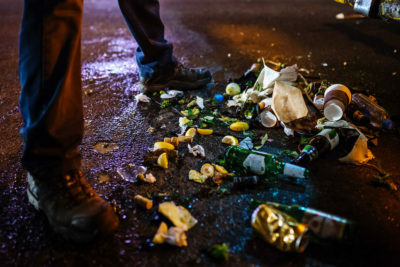 The authorities have on occasion acted on workers’ complaints involving some of these unions, with judges from the NLRB finding that trash company owners illegally interfered with workers’ rights. In 2013, the NLRB found that management at a major trash company in the Bronx unlawfully threatened to fire workers who opposed the independent union the company favored, Local 124. The union for years was run by James Bernardone, who was identified by law enforcement as a soldier in the Genovese crime family. 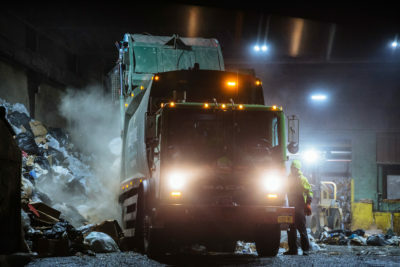 In another instance, the NLRB in 2004 found that a New Jersey trash company broke federal labor law by attempting to impose” LIFE 890 as the “bargaining representative” and by firing nine workers who were out on strike. Labor organizers have long been frustrated by what they see as the playbook used by many of these independent unions in the trash industry, including LIFE 890, and the companies that do business with them. “We start an organizing drive [at a company], and the next thing you know they have an 890 contract. The workers don’t even know they have a contract,” Michael Hellstrom, business manager of Laborers Local 108, said. 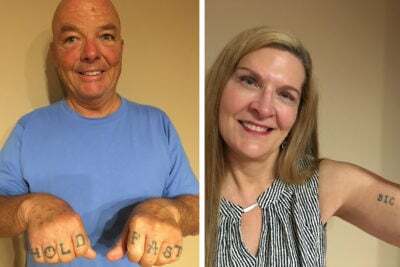 Kate Bronfenbrenner, director of labor education research at Cornell University’s School of Industrial and Labor Relations, said unions like LIFE 890 are also known as “sweetheart” unions or “company” unions because they work hand-in-glove with owners. She said the aim of their game is simple: keep out legitimate unions that would fight for higher wages and worker protections. Responsibility for overseeing the country’s thousands of labor unions rests with the federal Department of Labor. By law, all unions must submit annual financial filings to the department’s Office of Labor-Management Standards (OLMS). The office audits unions and has criminal investigators with subpoena power who can look into things like fraud and embezzlement, bringing charges through the Department of Justice. No-show jobs and overpaying friends and family members for services, for example, generally qualify as theft of union funds. The Department of Labor has taken enforcement actions against some independent unions in other industries in recent years, with criminal convictions in 2014, 2016 and 2017 involving embezzlements schemes by union officials. Nationally, there are about 850 independent unions, according to 2017 filings received by the Department of Labor. “Some of them are legitimate,” said Michael Hayes, who directed the OLMS during the Obama administration. “But then you have the kind of unions that you’re looking at.” LIFE 890 and its ilk, he said, are “endemic” to the garbage industry and other historically corrupt industries, particularly in New York and New Jersey. Yet, a union that acts in the interests of employers instead of workers, Hayes explained, isn’t necessarily breaking the law in ways that are under the Department of Labor’s purview. Investigators “have to show money going to places it shouldn’t,” he said. The Department of Labor did in fact audit LIFE 890’s health care benefit fund, Life Benefit Plan, for 2004 to 2007. 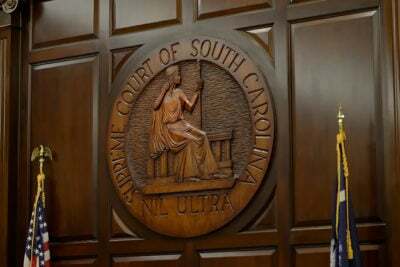 The agency concluded in 2010 that the plan had made a loan to Mongello that the Department of Labor deemed a “prohibited transaction,” as stated in the benefit fund’s annual filings. But no criminal charges were apparently brought, and Mongello resolved the matter without penalty by repaying the loan plus interest, according to the fund’s Department of Labor filings. The other agency tasked with overseeing unions and their dealings with employers is the NLRB. Under federal labor law, workers have the right to freely choose their own union, and it’s illegal for companies to create or support a union controlled by the employer. The NLRB can investigate complaints and force a company-controlled union to be dismantled at a particular workplace. But that’s a tall order: Workers have to be willing to serve as witnesses against their bosses. It’s also illegal for companies to fire or threaten workers for supporting a union like the Teamsters or the Laborers. And it’s illegal for companies to help install a union like LIFE 890 using coercion. But Bronfenbrenner, the Cornell scholar, said the NLRB’s power to punish employers is limited. Often, companies found to have acted illegally are merely required to post a sign reaffirming workers’ rights and pledging to abide by the law in the future. “Employers do not get punished under our legal system,” Bronfenbrenner said. For 40 years, the mob ran the private trash industry in New York. There were mobsters and mob associates as officials in both the trash companies and the industry’s unions. What resulted was an illegal cartel, wholly controlled by organized crime. Starting in the 1980s, federal prosecutors went after the unions and won formal agreements from major labor organizations — the Teamsters and the Laborers among them — to purge their rolls of mobsters and their cronies. While it would take years to accomplish, there were real successes. Teamsters Local 813, for example, kicked out over 70 members for corruption or being associates or members of organized crime, according to John Skala, who served as the investigations officer under the federal agreement. In the remade labor landscape, independent unions began to proliferate. A number of the people expelled from the Teamsters or the Laborers, Skala said, formed or joined independent unions. But as the independent unions became more prevalent, it became less and less clear who, if anyone, was responsible for policing their conduct. Today, some major union leaders and elected officials think the role belongs to the Business Integrity Commission. The BIC was created in 1996 in response to the criminal prosecutions of garbage haulers that broke up the cartel. The BIC monitors the private trash companies, requiring anyone licensed to haul garbage to pass a rigorous screening, denying licenses to those found lacking “good character, honesty and integrity.” A company can lose its license if it is found to have business dealings with people the BIC defines as convicted racketeers, people who were ousted from the industry over concerns about corruption or mob associations, or anyone the agency previously denied a license. A LIFE 890 union card. The union was born in scandal in the 1990s and today many trash workers deride it as a union in name only. The BIC maintains that it does not have authority to directly police unions in the industry but is seeking it. “We want to do more to protect industry workers and the public. That’s why we are pursuing ways to expand our authority and oversight of unions representing workers in the trade waste industry,” Brownell, the BIC’s commissioner, said in a statement. Edward Ferguson, a former assistant U.S. attorney who served as chairman and executive director of the BIC from 1996 to 2000, argued that trash companies’ dealings with a union like LIFE 890 falls under the agency’s existing purview. The BIC appears not to have taken an active role in overseeing its licensees’ dealings with unions. For example, LIFE 890’s connections to Todisco have not attracted the agency’s attention over the years. Better known as “Danny Litod” after his former trash business, Litod Paper Stock, Todisco was a leader in New York City’s private trash cartel. As the vice president of the Kings County Trade Waste Association, Todisco reported directly to Genovese capo Alphonse “Allie Shades” Malangone. In 1997, Todisco pleaded guilty for his role in the cartel and served a year and a half in state prison and three years on parole. Nonetheless, Todisco today operates a company that has received $40,000 in business from the LIFE union and its benefit fund for “newsletter design” and other services, according to Department of Labor filings. Since 2000, Todisco’s wife, Marie, has earned $343,000 as president of another union founded by Mongello, the Retail Wholesale Warehouse and Production Employees International. Its offices, it turns out, are in Mongello’s Brooklyn townhouse. Mongello’s two sons-in-law, Rocco Gagliardi and Andrew Gambino, run yet another union, Local 308 of the National Security Officers and Protection Employees. Its offices are listed at Todisco’s business address in Rockland County. Call the phone number for any of these other unions, and you get the same answering machine message as for LIFE 890. Such connections have cost at least one company the opportunity to do business in the industry. 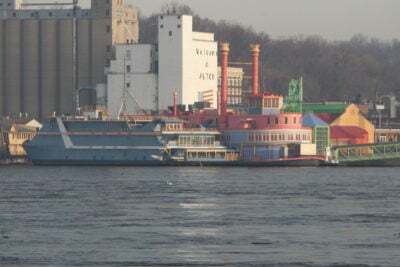 Indeed, a carting company owner was denied a license in 2002 for having “knowingly associated with Daniel Todisco, a convicted racketeer,” according to the BIC’s records. Stephen Capone, LIFE’s vice president, is also considered by the BIC to be a convicted racketeer, one with a long history in the city’s trash cartel. 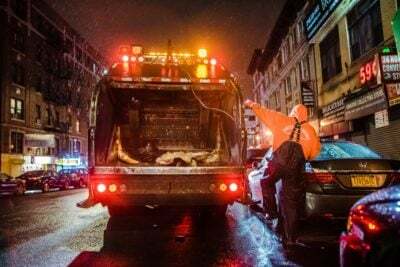 In 1975, Capone’s company, Capone & Denilo, was one of 55 private trash haulers in New York that pleaded guilty to restraint of trade in a case brought by the Brooklyn District Attorney’s office. (The owners served no jail time but paid a small fine.) In 1995, Capone pleaded guilty for his role in the bribery scheme involving officials at the Staten Island landfill. Years ago, Todisco and Capone each tried to get licenses to haul trash, and the BIC denied their applications. Not surprisingly, the BIC bars trash companies from doing business with both Todisco and Capone. ProPublica asked the BIC about Todisco and Capone. The agency did not respond. Ernesto Waight drove a truck for Liberty Ashes for about six years. In 2013, the company told him they were doing cutbacks, Waight said; he was the highest paid driver there. After his layoff, he said he showed up at the address for LIFE 890’s headquarters. Although he had hardly seen any LIFE 890 representatives at Liberty Ashes, Waight had paid dues for years and now wanted to see if the union could be of any help. He was surprised to find what appeared to be a private home in Brooklyn. Orlando, the former worker seeking overtime pay, said the union at Liberty Ashes had only a phantom presence. When he first turned up for work, he was told a union representative would soon come see him and explain how to get his membership in order. After a month on the job, workers were supposed to be in the union, he was told. But after three months of work, Orlando said he’d yet to be approached. “I never paid dues. I never signed a union card. I never met a rep. I never went to a meeting,” Orlando said. Orlando’s lawsuit has attracted other former workers, but it has dragged on for years now. Orlando said the company’s claim that all workers have to go through arbitration seems a cynical ploy, one in which LIFE 890 is a willing partner. The arbitration agreement requires workers to press their cases individually and bars workers from suing as a group. Orlando said arbitration only works if there is a union willing to aggressively back its members. Lawyers for Liberty Ashes did not respond to requests for comment. Orlando said he complained to Brownell, the BIC’s commissioner, about LIFE 890 last January, saying the union was, in Orlando’s words, conspiring with Liberty Ashes. Orlando said he was told the agency didn’t have the authority to act. Fatal accidents, off-the-books workers, and a union once run by a mobster. ProPublica first reported on LIFE 890 this year, and subsequently the union’s operations have drawn the federal government’s scrutiny. In August, the union’s health care benefit fund, Life Benefit Plan, received a grand jury subpoena from the departments of Labor and Justice. The subpoena requested records and “referenced an alleged violation” possibly involving wire fraud and conspiracy, according to an independent auditor’s note in the benefit fund’s most recent financial filings, submitted to the Department of Labor in October. LIFE 890 did not respond to questions concerning the subpoena. When ProPublica visited LIFE 890’s townhouse in Bay Ridge recently, a woman who gave her name as Phyllis answered the door. Phyllis said she didn’t know Mongello’s whereabouts but perhaps he was “in the field.” Capone was likewise nowhere to be found. (According to IRS filings, Mongello works 50 hours per week and Capone works 33 hours per week.) The next day, ProPublica called asking for Mongello and Capone, and again neither were in the office. Phyllis said she didn’t know when they’d be back.